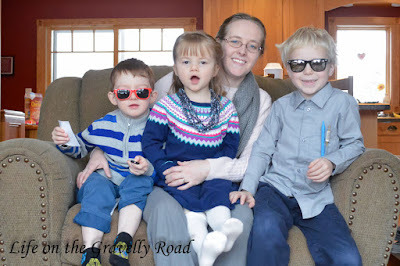 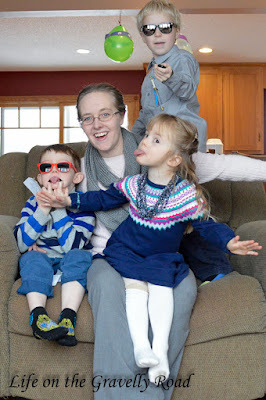 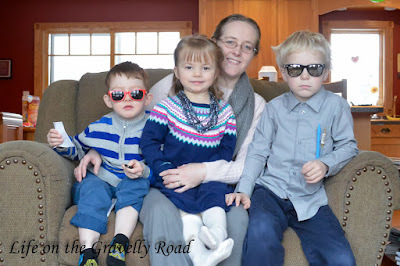 On Sunday morning (Valentine's Day) hubby was still out of town and miraculously the kids and I were ready for church a bit early so I convinced them to take some pics (read I bribed them with tic tacs). 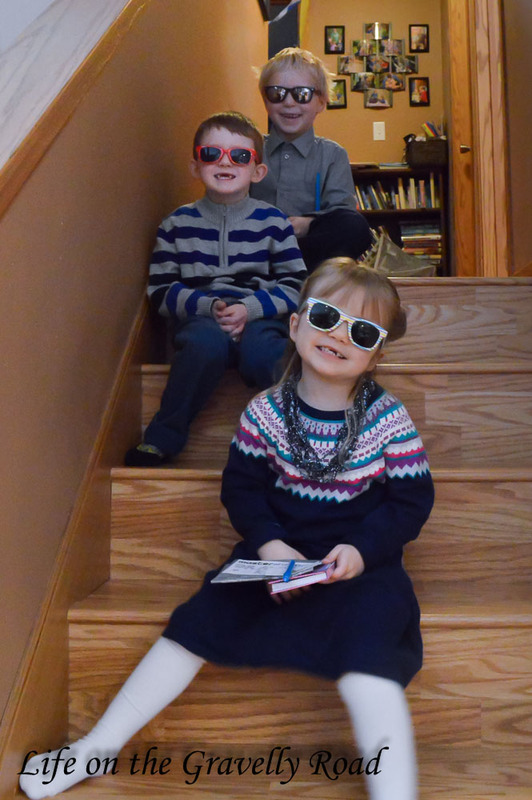 Of course they decided the new sunglasses they got in their little Valentine's gift were absolutely required and most of the pics were on the goofy side but we certainly had fun. 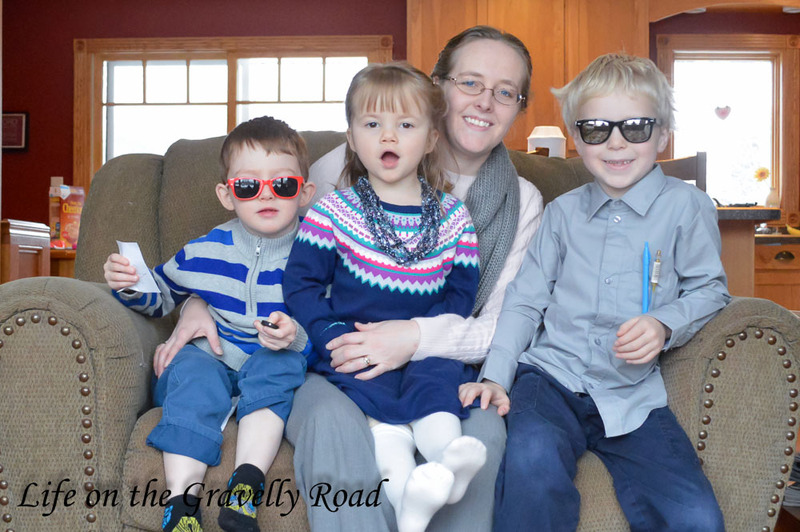 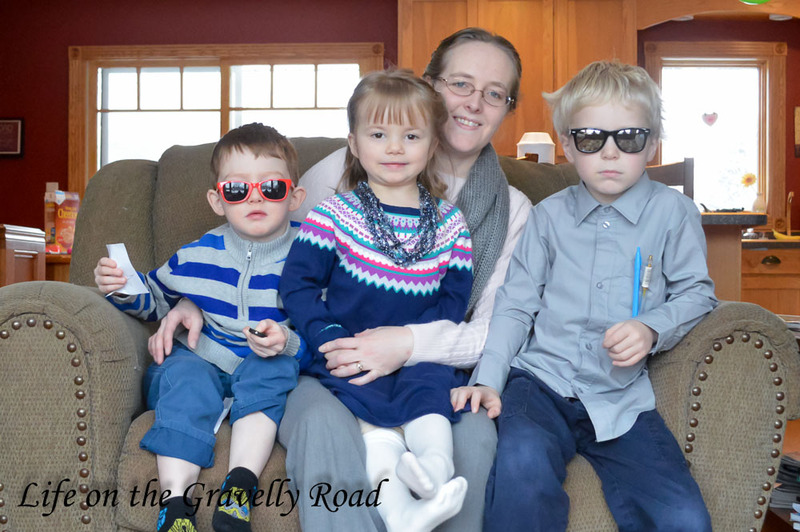 Trying to get in front of the camera and in the pictures a bit more here on the gravelly road.